Oh wait, you meant THAT douche. 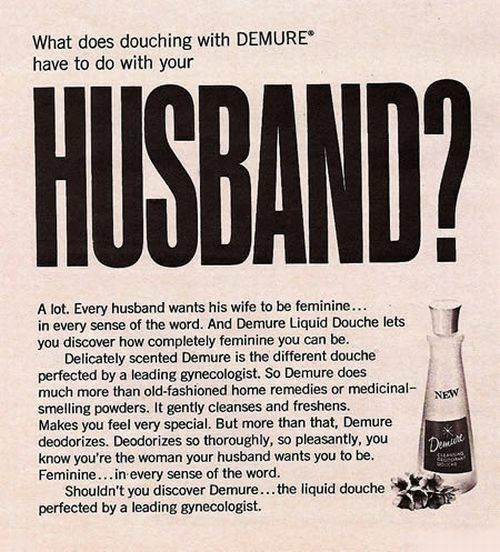 I say,lets pour it down the throats of the husbands who tell there wives to use this insultin crap! but first lets start with the leading gynecologist who perfected it! Is it really bad to want your partner to smell nice? I'm sure that you ladies would all rather have men/women who smell decent. There is no sexism here, just decency.